Preventing DNA damage. We should do everything we can to try to prevent DNA damage occuring because genetic mutations can lead to serious illnesses including chronic disease and some cancers. To help prevent DNA damage from occurring ensure your diet is rich in nutrients, such as carotenoids (orange, yellow, and red foods, and dark green leafy vegetables), and foods rich in vitamin E (seeds, nuts, avocado). DNA synthesis. In order to help our bodies synthesise or make DNA, we need foods rich in nutrients such as folate (vitamin B9) found in dark green leafy vegetables, pulses and legumes. A number of fruits are a great source of folate too, oranges being the highest but also look at grapes, grapefruits, banana and strawberries. Superfoods spirulina and chia seeds and rich in magnesium, chia also being rich in zinc, iron, calcium and niacin (see below). 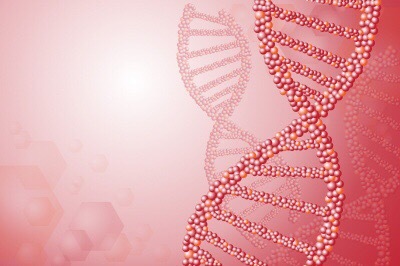 DNA repair is a very important: the body has the ability to repair areas, or mutations, that may have occurred due to DNA damage. Key supporting nutrients that can assist with DNA repair are vitamin B3, or niacin, (peanuts, sunflower seeds, mushrooms), and folate (vitamin B9). Chlorella is the fastest growing food on the planet, so eating it dramatically increases our rate of tissue repair and renewal, helping restore the nervous system, boost immunity and potentially helping degenerative disorders. My personal recommendation would be to add a general multi mineral and vitamin supplement on top of a well balanced diet in order to ensure you are getting all the nutrients your body needs. Organic foods are best as they will be more nutrient dense, however our soils are so depleted nowadays that we need to supplement in order to ensure we put enough into our bodies through our diet. I personally take Organic Greens complex (chlorella, spirulina, sea greens, wheatgrass) daily blended with orange juice, banana and avocado every morning, sprinkled with chia seeds and nuts. I know that I’m nourishing my DNA and it gives me a great start to the day!